Executive order no. 869 of 21 July 2011, as amended, about the executive order on labelling etc. of medicinal products is referred to as the executive order on labelling etc. of medicinal products. Can the medicinal product name and a suffix be separated on the package so that the two words are not placed next to each other? Answer: The medicinal product name consists of a ”main name” + perhaps a suffix and should be considered as one term. Consequently, the entire medicinal product name should be displayed together. However, a different typography may be used for the suffix. How should the strength be indicated on generic combination products? Answer: Generally, the indication of strength should follow the strength of the reference medicinal product; this applies to the order of the individual active substances, e.g. 20/75, and whether they should be separated by ”+ ” or ” /”. Can the route of administration ”For ocular use” be stated as ”For use in the eye” on the labelling? Answer: Yes, this is accepted. Danish Drug Standards contain a list of user-friendly terms that can be used to indicate the route of administration on the labelling. How should lactose be indicated on inhalation products? Answer: Lactose must be indicated qualitatively (applies to medicinal products for human use). Can the active substance and any excipients be written in Latin if the applicant wants to use multi-lingual labelling (maybe in the abbreviated form)? Answer: Yes, this is accepted, however, the active substance must appear at least once in the full form, see section 22(3) of the executive order on labelling etc. of medicinal products. Is it possible to state a logo for both the MAH and the representative on the package? Is it possible to state a logo/name of a company that is neither the marketing authorisation holder nor the authorised representative if the company concerned forms part of the group, which the marketing authorisation holder is also a part of or owner of? Answer: The Danish Medicines Agency’s practice does not allow this. The reason is that there is only one marketing authorisation, and this authorisation must be reflected in the packaging material etc. Consequently, only the MAH and REP mentioned in the marketing authorisation should be stated on the package. Can the FSC (Forest Stewardship Council) logo be used on the outer packaging and on the package leaflet? Answer: No, this is assessed to have promotional value only and cannot be used, see section 6(1) of the executive order on labelling etc. of medicinal products. How should unit-dose blisters (single dose blister) be labelled? Is additional labelling in the form of a sticker accepted? Answer: Yes, if the labelling meets the requirements in section 3 of the executive order on labelling etc. of medicinal products (indelible, easy to read, easy to understand) and if the sticker cannot be removed. The additional labelling must be made by an authorised manufacturer. Can a medicinal product be labelled with information that falls outside the executive order on labelling etc. of medicinal products? Answer: Yes, if the information is not of a promotional nature, is not misleading or does not compromise user safety, readability and is otherwise in accordance with the summary of product characteristics. If a harmonised labelling standard is available, this must be followed. Any Danish ”Blue box” requirements must be observed. Can a QR code be placed on the outer and inner packaging? Answer: Yes, provided that sections 6, 7 and 8 of the executive order on labelling etc. of medicinal products are complied with. Can a medicinal product be labelled ”sugar-free”? Answer: Yes. However, in order to be termed ”Sugar-free”, the medicinal product must be free from monosaccharides and disaccharides (= glucose, fructose and galactose as well as combinations thereof). Can the Braille text cover several sides of the package? Answer: Yes, soy lecithin should be labelled as soya bean oil (and hydrogenated soya bean oil) (applies to medicinal products for human use). How fast should variations be implemented into the package leaflet? Answer: Generally, the deadline for implementing variations into the package leaflet is one year if it appears from the current package leaflet that the most recent package leaflet is available at indlægsseddel.dk and the updated package leaflet is uploaded no later than 3 months after approval of the variation. As concerns package leaflets of veterinary medicinal products, we recommend to insert this information between the package leaflet heading and the section with the name and address details of the marketing authorisation holder. If these two conditions are not satisfied, changes to the package leaflet must be implemented within 6 months after approval of the variation. In this context, implementation means the time when packages with the updated package leaflet are supplied to the wholesaler. (Ref. : Guidelines no. 9688 of 6. juli 2017 on variations to marketing authorisations for medicinal products). Is it possible to have a multi-lingual package (packaging) with a package leaflet in Danish only? How many package leaflets can an applicant put into one package of medicine? Answer: Normally, there should be only one package leaflet in a package. In some situations, it may be relevant to put more package leaflets into a package. In any case, the number of package leaflets should match the need. How should the address of the marketing authorisation holder be stated in the package leaflet? Answer: The full name and address of the marketing authorisation holder should be stated in the package leaflet. As a minimum, the address must include the city (alternatively the postcode) and country. However, if the country is Denmark, there is no need to state the country. An e-mail address may also be stated. Is it possible to state a distributor or contact person, who is not a representative, in the package leaflet? Answer: Only the representative can appear from the labelling and package leaflet. Should updated package leaflets and labelling be submitted to the Danish Medicines Agency for approval? EU procedures (MRP/DCP): Changes to the package leaflet and labelling authorised under an EU procedure, including art. 61.3 notifications, are reflected in the updated End of Procedure documents. Any comments from the Danish Medicines Agency will be specified in the Danish authorisation letter. The Danish Medicines Agency will not make any further review of the updated documents, and consequently the updated documents should not be submitted to the Danish Medicines Agency for further comments/information. National procedures: Any comments from the Danish Medicines Agency will be specified in the authorisation letter. The MAH is responsible for ensuring that the documents meet the requirements in Executive order no. 869 of 21 July 2011, as amended, on labelling etc. of medicinal products, and Guideline no. 9368 of 25 May 2018, on labelling etc. of medicinal products. How should the representative be stated in the package leaflet? Answer: The full name of the representative must be stated in the package leaflet. The address and/or e-mail address may be stated. Answer: The full name and address of the representative must be stated in the package leaflet. As a minimum, the address must include the city (alternatively the postcode) and country. However, if the country is Denmark, there is no need to state the country. An e-mail address may also be stated. How should the frequency of side effects be stated in section 4 of a package leaflet for a human medicinal product? Answer: The Danish Medicines Agency recommends that the frequency of side effects is stated in accordance with the CMDh annotated QRD template for MR/DC procedures. Should a Danish package leaflet be submitted when applying for changes to the product information? Answer: When applying for changes to the product information, marketing authorisation holders must always send a Danish version of the package leaflet to the Danish Medicines Agency, whether the medicinal product is marketed in Denmark or not (unless the medicinal product is subject to section 11 about omission of the package leaflet, see Executive order no. 869 of 21 July 2011, as amended, on the labelling etc. of medicinal products). The reason is that the marketing authorisation holder can place a medicinal product on the market in Denmark in a short time (every fortnight), and that the Danish Medicines Agency wants the applicable Danish version of the package leaflet to be available, regardless of the status of the medicinal product. For purely national marketing authorisations, the package leaflet must be submitted at the time of application as well as later on in the procedure (if relevant), regardless of the type of variation. How are nationally authorised medicinal product names stated in other EEA countries? Answer: According to the QRD template, section 6 “More information” must include the following information “This medicinal product is authorised in the EEA member states under the following names” of the most recent revision/change of the package leaflet. 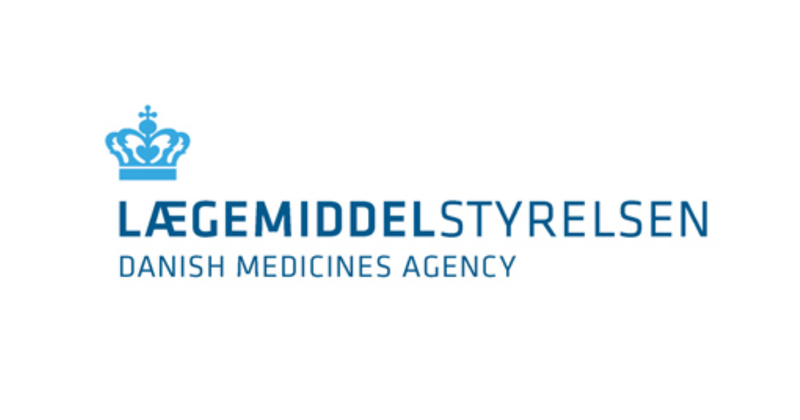 The Danish Medicines Agency now accepts that medicinal product names authorised in other EEA countries are not stated, if required for reasons of space. How should the date of the most recent revision/change of the package leaflet be stated? It is essential that the date on the package leaflet is always related to a regulatory acceptance of the content of the package leaflet. The Danish Medicines Agency accepts that the date stated under section 6 of the package leaflet is the end date of the regulatory process. Regulatory process means the end date of the procedure for e.g. a variation involving changes to the product information. The date may be stated as month/year [MM/YYYY] in the package leaflet. If EXP is used to state the expiry date, should the abbreviation be explained in a help text in the package leaflet, as described in section 17 of Guideline no. 9365 of 3 July 2013 on labelling etc. of medicinal products? Answer: No, this is no longer a requirement. Where should the sealing be added to medicinal products covered by section 14 of the Danish executive order on labelling etc. of medicinal products (medicinal products with A§4 dispensing status) if the products are placed in a can packed in an outer box? Answer: In such cases, the labelling should only be added to the outer box. The box should be labelled so that it is easy to see if the package has been opened. However, the labelling may also be added to both the can and the outer box. When do the changes become effective, and when should the changes resulting from the updated Excipients Guideline be displayed on the labelling?